WASHINGTON, D.C. (March 28, 2018) – In a new video released today, Pennsylvania-based R.M. 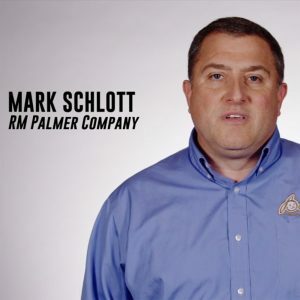 Palmer Company CEO, Mark Schlott, joins the chorus of voices calling for the modernization of the U.S. sugar program. The head of the 70-year-old company explains why the outdated U.S. sugar program is harming his business and employees. The Sugar Policy Modernization Act (H.R. 4265 / SB. 2086), introduced by a bicameral, bipartisan group of federal lawmakers late last year, would reform the outdated and outrageous program. The proposal creates an adequate supply of sugar based on a reasonable competitive approach that reaches from the farm to the retail shelf – without risking an appropriate safety net for farmers. Congress can reform the U.S. sugar program this year as part of its consideration of the 2018 Farm Bill, which sets government agriculture policy. R.M. Palmer isn’t alone in calling on Congress to reform the U.S. sugar program. To hear what others are saying, watch the Alliance for Fair Sugar Policy’s new video series. The Alliance for Fair Sugar Policy (AFSP) is a broad-based coalition advocating to modernize the outdated and outrageous U.S. sugar program. Formed by a sizeable group of small, family-owned businesses and manufacturers, retailers, food and beverage companies, trade associations, environmental advocates, taxpayer watchdog organizations, responsible government advocates, think tanks and other organizations, the group’s goal is to help level the playing field for American manufacturers and their families when it comes to being able to create jobs. To learn more about the Alliance for Fair Sugar Policy and the need for sugar reform, please visit FairSugarPolicy.org. If you are interested in using any of the video(s), please reach out to info@FairSugarPolicy.org.